Dar: [re: the tiger] and I have my strength. Happy 71st birthday to Marc Singer!!! Question: What Romantic comedy was intercut with clips of real married couples telling how they met? 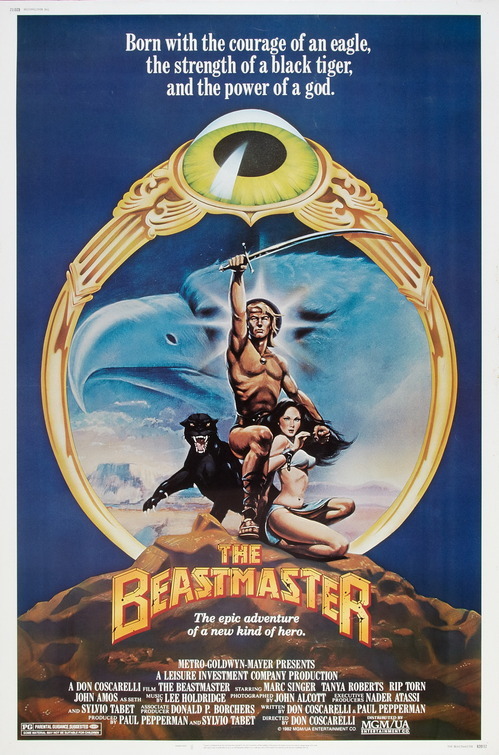 Last Question: What movie starred Marc Singer as a warrior who communicated with animals? Dar (Marc Singer) was the unborn Prince of a family slaughtered by Lords of Evil. Fortunately, prior to his mothers death, he was magically transferred to the womb of a cow, which saves his life and may be the reason that he is a bit ‘different’. With only the help of these two, Dar’s mission might have been doomed to failure, but, as the title of the movie suggests, Dar has a special gift. He is able to communicate with animals and it is this gift that ultimately gives him the edge of many other warriors of most fantasy movies. A definite guy flick with regards to the fighting and of course Ms Roberts and a girlie flick for the love growing between Dar and the slave girl …and of course Dar’s body!